Hope you’ve all been having an excellent Sunday, no matter what you’ve been up to! 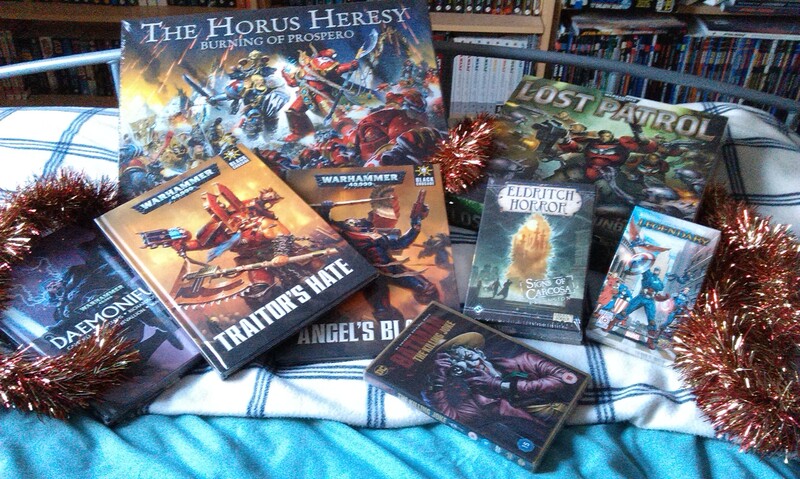 Author spalanzPosted on December 25, 2016 Categories other stuffTags Batman, Christmas, Eldritch Horror, Horus Heresy, Lost Patrol, Marvel Legendary, Warhammer 40kLeave a comment on Merry Christmas! It’s time for something a little different for game day here at spalanz.com today! 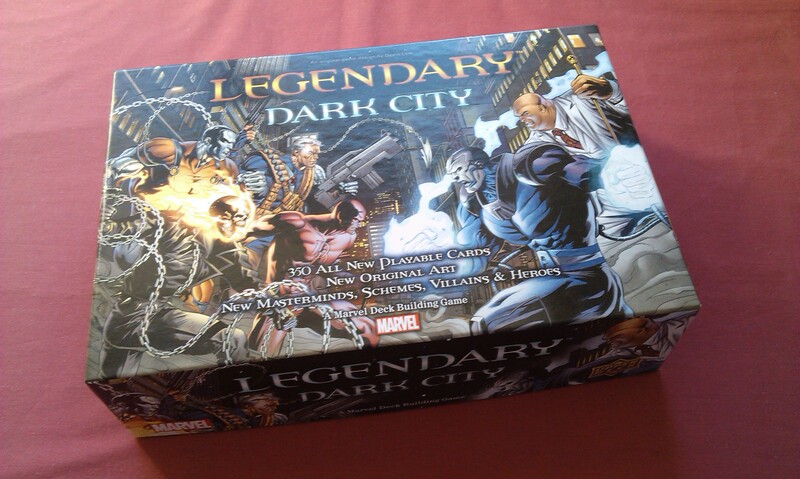 While I normally showcase something awesome from my game collection, today I thought I’d just talk more about what seems to be the largest-represented subtheme of games that I have, the deck-building game, and why I like them so much. Dominion, of course, is the grandfather of the deck-builders, and has a whole slew of expansions. First released in 2008, it ignited the spark that brought us so many more since. However, precisely because of the developments that have taken place in board games over these past seven years, I find Dominion to be quite a dry experience today, with its generic medieval-themed cards and its basic mechanics of buying as many cards as you can to win. 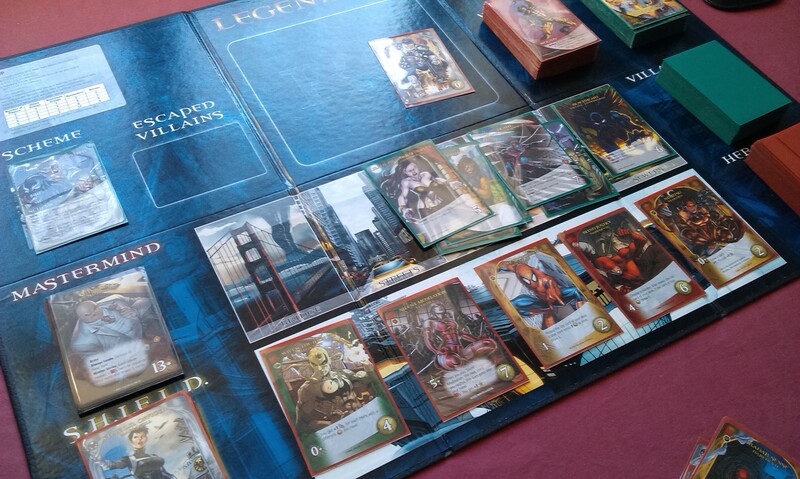 There’s more to it than that, of course, and I won’t deny, managing to set up those killer-combos can be a lot of fun, but I eventually sold my Dominion collection earlier in the summer, as it had become a game that merely took up too much shelf-space. Thunderstone (2009) immediately began to shake things up. Following the basic idea of having a set of cards that you can buy from, the game included a separate action that felt so much more like an actual game, where you went into a dungeon to fight some monsters. This is where the deck-building game really takes flight for me. While Dominion’s premise was to build a deck as the end result of your game, Thunderstone combined deck-building with an actual game to simple yet highly effective ends. Fans of Dominion will recognise the village as the usual card pool, but while in the older game, you bought cards which would allow you to buy more cards, and the goal was all about trying to refine your turn and maximise your resources, here you buy cards to actually do something with them. You hire warriors and buy equipment to outfit them better to fight the monsters. There’s something about Thunderstone that remains highly appealing to me, and it’s a game that I continue to enjoy the more I play it. It’s the idea of deck-building for a reason that is so enjoyable for me. Ascension (2010) is a curious blend of the two, I find. The biggest departure from both is that the “village” idea of a collection of cards you always get to choose from has now been replaced by a centre row of just six cards. This combines the idea of buying cards to refine your deck, as well as elements of the dungeon from Thunderstone, so that heroes and monsters can both emerge from the main deck. 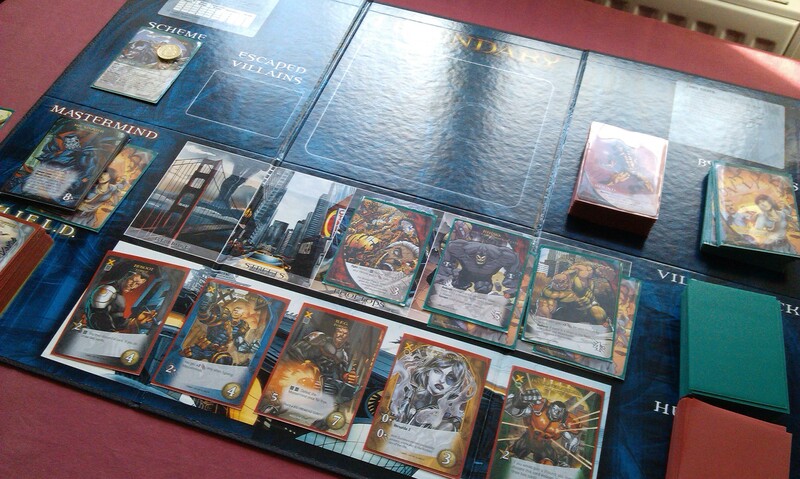 I think Ascension is my favourite type of deck-building game, and it’s also one of my favourites for the theme, also. It’s a fairly generic fantasy-style world, but the theme of each faction you can recruit really comes through very strongly. The best thing about this, however, is the variety that comes from having an ever-changing line-up of six cards. No two games will necessarily be the same, while Thunderstone has the potential if you use the same set-up (though the monsters will change as you go through, of course). Of the three games mentioned so far, Ascension wins hands-down for its variety! I play most of my Ascension through the app, which is actually pretty awesome as well, and definitely worth downloading. Rune Age (2011) is a curious mix from Fantasy Flight Games. It’s a little bit like a pared-down Thunderstone, with just a few cards on offer to buy rather than the whole village. It also uses an event deck, which can be both beneficial and harmful. The greatest departure here, of course, is that you start out in a specific faction, and build up your deck from there. 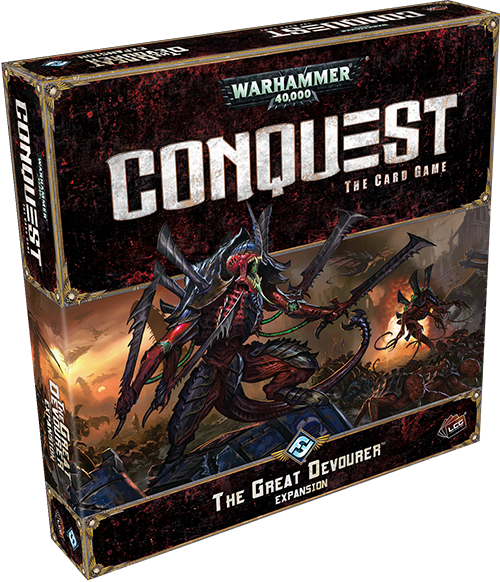 The object of the game varies with each event deck in play, and the result is almost like a third way for deck-building games. I love this game for so many reasons, chiefly among them of course is the setting of Terrinoth. However, while there is so much to enjoy right out of the box, it’s unfortunately starting to get a little stale for me now, as so much of any deck-builder is dependent on the different ways you can build your deck. For Rune Age, that depends on the faction you play, and also the event deck you use, and with only six of each to choose from, it has become clear that more variety is needed! But when it’s been a while between plays, it’s always a real pleasure to come back to this one. 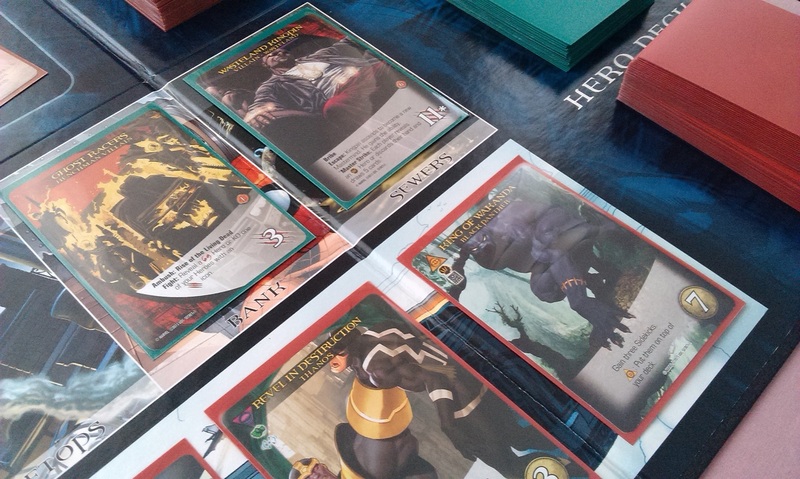 DC Deck Building Game (2012) is almost a straight copy of Ascension, featuring a main deck and centre line-up of six cards, where you recruit heroes and fight villains. However, there’s an added element that makes it a little more exciting, but the theme is perhaps the greatest draw here. You get to play as classic DC superheroes, and fight the arch-nemeses such as the Joker and Lex Luthor. The design isn’t particularly ground-breaking, but the execution is really great, leading to a fairly straightforward, yet super-fun game. While the base game may be a pared-down Ascension with a superhero theme, subsequent expansions have introduced several different keywords that alter play a lot, while the Crisis expansions have really served to deliver a really interesting game experience. Importantly, Cryptozoic have used the game engine for several other deck-building games, that are all compatible with each other – Street Fighter, Naruto Shippuden, and Lord of the Rings to date! 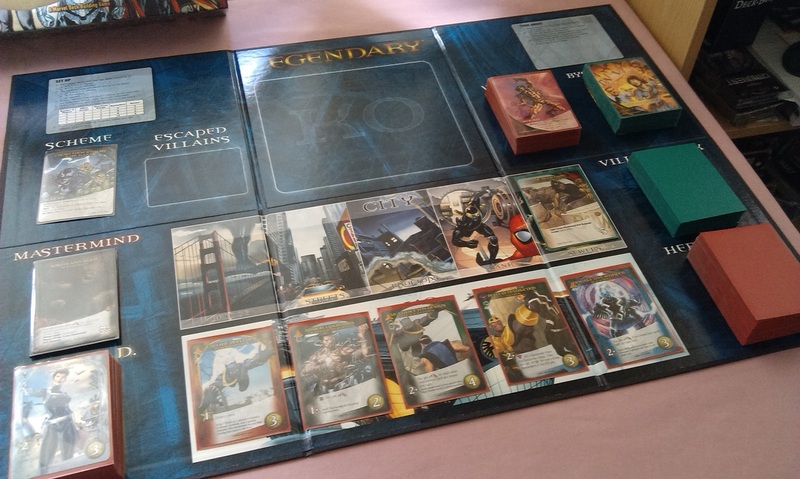 Marvel Legendary (2012) continues the superhero theme, and has been one of the break-out games from the deck-building genre of recent years. Of course, the runaway success of Marvel movies no doubt has a part to play here, but the game is actually really, really great, more than justifying its success. 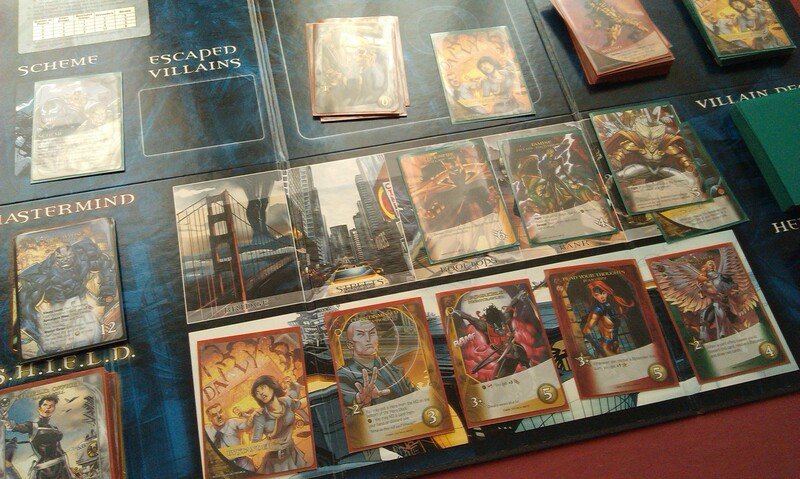 It plays very much like two games of Ascension happening at the same time – or more accurately, a game of Ascension where the heroes and the villains have been separated out, so you have two decks that are spewing cards each turn. 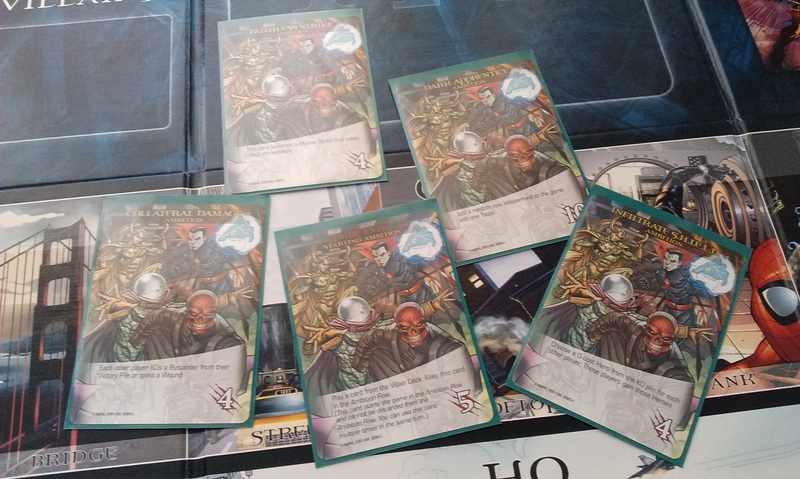 However, we’re very much back to deck-building with a purpose here, as the villains are being led by a Mastermind, who is trying to get his scheme to go off. 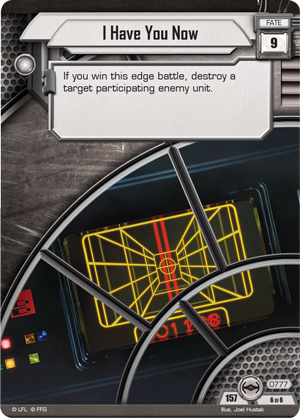 The object of the game is always roughly the same – defeat the villains and the mastermind – but the addition of schemes means they always play a little differently. Subsequent expansions have succeeded in both appeasing the fanboy need for more superheroes and also enriching the game experience. 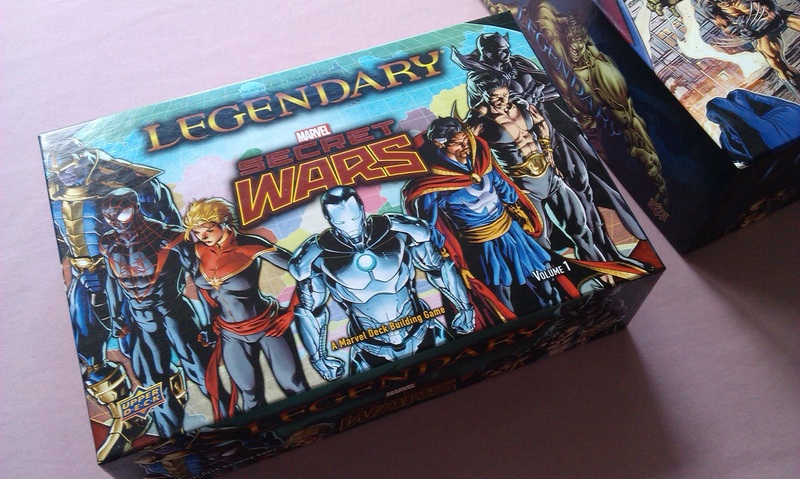 Marvel Legendary is definitely the deck-building genre grown up. So what is it about these games? Why do I have so many, and why do I keep coming back to them? Well, first of all, I love variety. I could have the same game in several different themes, and love them all equally. I love card games such as the LCGs from Fantasy Flight and the recently-discovered Magic, and deck-building is obviously a highly intrinsic part of such games. I’ve said it before that, for me, the best part of Android: Netrunner is the deck-building, as you try to put together the perfect deck that should, in theory, run like clockwork. Getting to make a game out of building a deck just sounds so cool, and the fact that it actually is cool is just the icing on the cake, really. In a game like Ascension or DC, you get to choose the cards you want to buy not because they’ll be worth a lot in the end (though that is certainly a strategy you could go with), but because they’ll allow you to do much more. It’s always fun to see people around the table start with the same basic cards, but end up building entirely different decks as they attempt to go about their strategies. I said at the beginning that I’m not the biggest fan of Dominion any more, but I’m certainly more than grateful to it for having provided the basis for so many of my favourite games!